Rewards Canada is back from vacation and of course last week was filled with more news than we typically see in an week, heck even in a month so now it is time to play catch up! 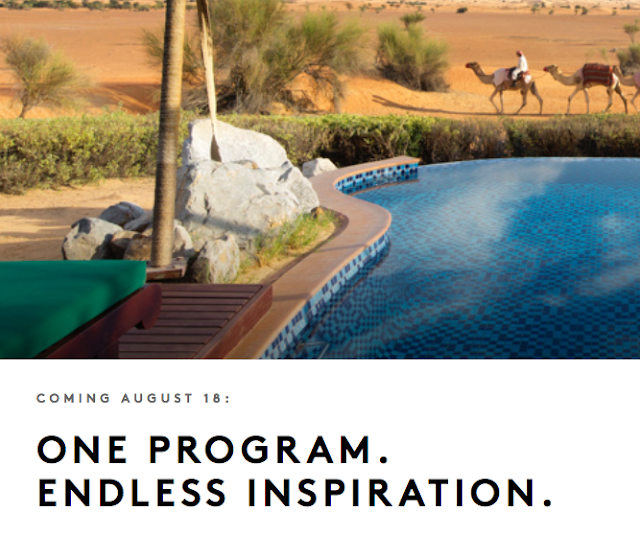 You will be able to book, earn and redeem across the portfolio of 29 participating brand, 6500 hotels in 127 countries all in one place, on any of their digital, mobile and voice reservation channels including www.Marriott.com and www.SPG.com. All SPG members will receive a new 9-digit account number that aligns with the specifications of the new system. The new account number will appear through a pop-up when they log into their account. Passwords will stay the same (unless the member elects to change it themselves). Some members of Marriott Rewards will also receive a new account number.These members will receive an email with their new account information or a call from our customer engagement centers. Important to note, on August 18 starting early morning (U.S. Eastern Time) their sites and apps will periodically be unavailable as they migrate our systems to one, new platform. This means during this planned system transition there will be times when no one can make a booking, and times when they will only be accepting credit card bookings. As a result of those particular instances, members will not be able to book a redemption stay or have their member number attached to their reservation. Here are some tips that you should follow up until August 18th. First log in to your Starwood and Marriott accounts and take screenshots of your points balances and elite status earning. This way should any issues arise during the integration you have your back up to make sure you get all your points and elite status credit. Make any award night bookings at hotels that are increasing in price as of August 18th so that you can lock in at the current lower rate and if you already have a booking(s) at a hotel that will go down in price, check for availability after August 18th and if their is availability re-book at the lower rate. Redeem for the famous Marriott Travel Packages prior to August 18th as it has been confirmed you can book at the old rates until August 17. July 12, 2018 - We look at how the very popular Marriott Travel Packages will be handled after August 2018.